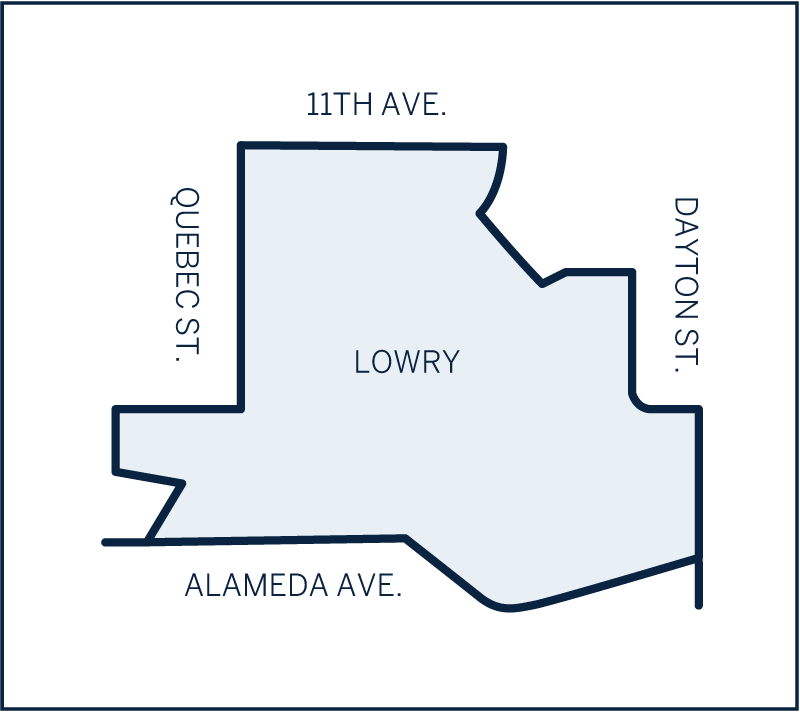 Lowry is a welcoming neighborhood that encompasses a variety of residences, made up of condos, townhomes, and single family homes. The development is mixed use, with two million square feet of commercial buildings and 800 acres of parks and open space completed in 2011. Lowry is a hugely successful infill development that transformed its original air force base into an award winning neighborhood community. The development creatively chose to leave historic military buildings throughout the development to give it a unique personality. Those looking for new construction and modern amenities, will find that Lowry has it all. One of the best features is the Town Center, offering a grocery store, a Starbucks, and several boutique shops. Developers were careful to include mature landscaping and a charming storefront atmosphere that makes Lowry feel as if it has been there for ages. Lowry also offers reputable public and private schools. Residents enjoy having the best of all worlds, living 15-20 minutes from downtown Denver and the Denver Tech Center.